We’re pleased to announce that The Devil’s General: The Life of Hyazinth Graf Strachwitz – the “Panzer Graf” is now available from Casemate! In this new release, Ramond Bagdonas tells the story of Hyazinth Graf Strachwitz, the most highly decorated German regimental commander of World War II. Covering his service during the French Campaign, the invasion of Yugoslavia, Operation Barbarossa, and Stalingrad, Bagdonas provides a fascinating detailed account of the commander’s life and leadership during World War II. Hyazinth Graf Strachwitz Von Gross-Zauche Und Camminetz was the most decorated regimental commander, and one of the most effective panzer leaders, in the German Army. He was one of only 27 men in the entire Wehrmacht to be awarded the Knight’s Cross with Oak Leaves, Swords and Diamonds. Of these he was the only one to receive grades of the decoration for both bravery and his command abilities, which led to the significant outcomes which merited the award. The other Diamond recipients received awards for either their bravery and combat accomplishments, such as Hans Hube and Walter Model. In the latter cases their men did the actual fighting and the award was as much for the units under their command as for them. Von Strachwitz’s rapid rise during World War II from a lowly captain to a lieutenant general, equivalent to a major general in the UK and US armies, was nothing short of extraordinary, and this in an army not lavish in granting promotions. He fought in nearly all of the major campaigns – the invasion of Poland, France, and Yugoslavia, and the important campaigns and battles in the east including Operation Barbarossa, the battles of Kiev, Stalingrad, Kharkov, and Kursk, the Batlic States and finally of Germany and his beloved Silesia – his service being almost a microcosm of World War II in Europe. In the course of these battles, not only did he win renown – becoming a legend among those who fought on the Eastern Front who gave him the title Panzer Graf (Armored Count) – but was also wounded 14 times, probably was unique among the ranks of of Germany’s senior officers and a testament to his leading from the front. Such an extraordinary record of courage and command would have made him unique in any army of World War II. Yet he is a man of mystery, with very little known about him and nothing of substance yet been written. He is mentioned in countless books, articles, and websites, but at most is only given a brief biographical outline, and even this is often inaccurate in parts. Günter Fraschke wrote a German-language biography in 1962, which, if largely factual, was nevertheless discredited for its inaccuracies and sensationalism and rejected by the Panzer Graf himself. Unfortunately the Panzer Graf himself wrote no memoirs; left no diary, and any notes and papers were lost along with him home in 1945. His records of service in the 16th Panzer Division were destroyed along with the division in the Battle of Stalingrad in 1943. 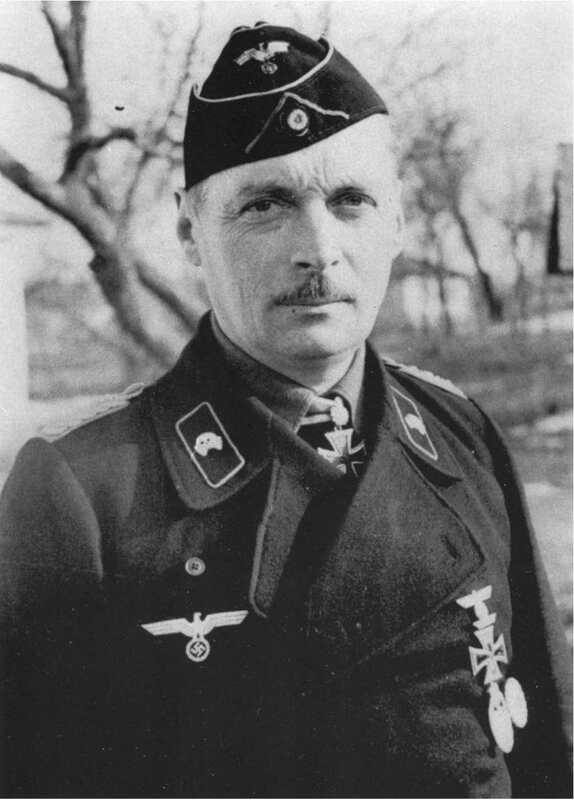 After a period of distinguished service with the elite Grossdeutschland Division, he served as commander of several ad-hoc units, some bearing his name, in a period when records, if kept at all, were scanty, or lost. It all makes for a rather threadbare paper trail. His comrades-in-arms have now all passed away, so there are no witnesses to his many battles and exploits. All of this of course makes writing a full-length book about him enormously difficult. It is only possible with reference to the academies that he attended, the units he served in or alongside, the battles in which he fought and the many outstanding men he met or served with, as well as the events that shaped him and his world. The book must then of necessity deal not only with his life, but the broader topic of the times in which he lived. The amount of research and effort required to tell his story, taking in a great many major and minor little-known events, was quite daunting, as was of course the scarcity of detailed information about him, yet he is indeed a subject worthy of the effort. Of equal importance was to produce a serious, studied and accurate representation of his life without the sensationalism that his exploits could easily lead to. I hope I have succeeded in this and beg forgiveness if I have lapsed occasionally in some descriptions that add color and life to some of his actions. I hope also that this book fills the gap that currently exists, and gives him the proper recognition that he deserves, not only as the superlative warrior, war hero and panzer commander that indeed he was, but also as the decent and honorable man of integrity that he remained throughout his life. Finally, it must be remembered that all too often good men, through no fault of their own, are forced to serve an evil cause. He served his cause without adding to its criminality, and sought to end it honorably is the opportunity arose. Little more could be asked of any man. You can purchase your own copy of The Devil’s General here. 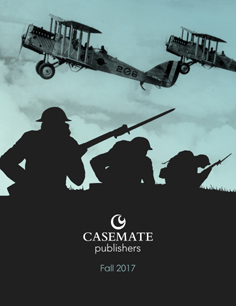 The Casemate Group is hiring!